While out to dinner with my family at Paparazzi this weekend (where we are considered locals at this point) I embraced the end of Winter and the beginning of Spring with a new drink. I decided on the Rosemary Spritzer which called for Mionetto Prosecco, Blood Orange Liqueur (mmm!) and Fresh Rosemary and was oh so pleasantly surprised when it arrived at our table. It was crisp and grapefruity sweet and with the sprig of rosemary created an incredible taste combination that I had never had before (and wish I had!). 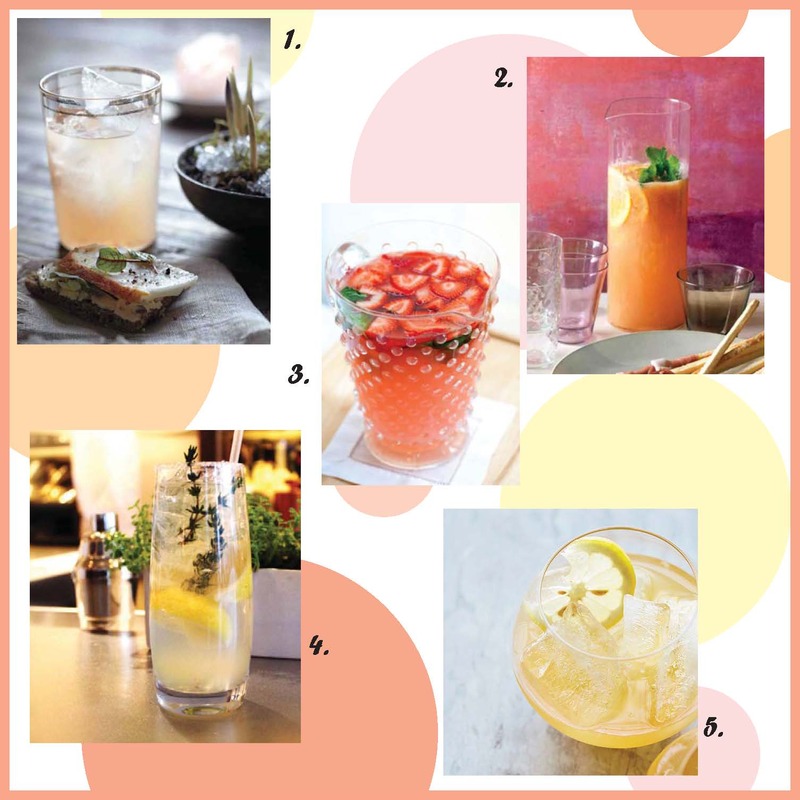 I was inspired to find some new Spring-esque recipes to try for this season and the ones I’ve found are definitely making me thirsty. Enjoy!